While drugs should undergo various tests before receiving approval in Europe, pharmaceuticals often mislead consumers and authorities by not publishing the results. According to an article published in the British Medical Journal, pharmaceuticals only publish the positive points of the trial. The publication bias overestimates the benefits of many medications. While reboxetine is used in various European countries, the US drug regulators have rejected the drug, raising doubts over the effectiveness of the drug. 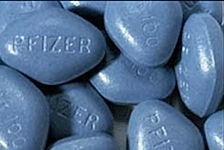 In this regard, a German team revealed that various publications have failed to report all the positive and negative effects of reboxetine, an antidepressant drug claimed to be completely effective by Pfizer. The team has reported that the drug is no better than a placebo in regards to remission and response rates, stressing that a large number of patients have developed side effects after using the medication. GlaxoSmithKline (GSK) was also criticized for failing to inform the consumers about possible suicidal behaviors linked with its antidepressant, Seroxat; the company, however, has rejected such claims suggesting that it had inappropriately withheld trial information. The company also defended itself against allegations on hiding negative information on its diabetes drug, Avandia. "Our findings underline the urgent need for mandatory publication of trial data," authors concluded, stressing that that pharmaceutical companies must publish all data pertaining to a new drug not just their positive findings. This page contains a single entry by sal published on October 21, 2010 9:00 AM. New film on Codex Alimentarius Outlines Vital Role of The National Health Federation was the previous entry in this blog. Hemp Is the Far Bigger Economic Issue Hiding Behind Legal Marijuana is the next entry in this blog.